Down even further from the £70 reduction to £60 now. 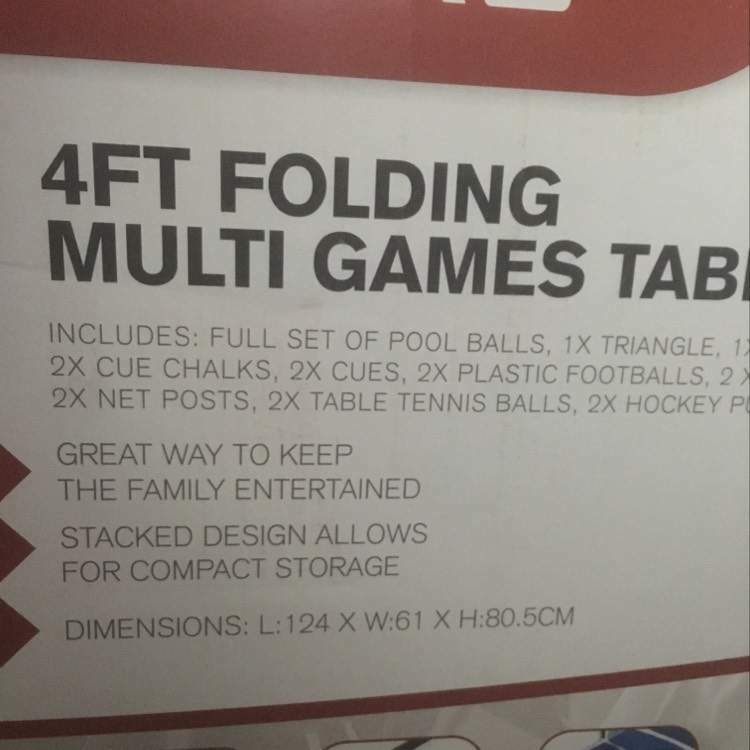 Pick from 4 classic games and challenge your friends and family with the 4-in-1 Folding Multi Table. 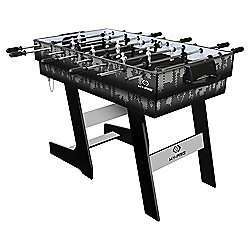 Fight your way to the top of the leaderboard, whether you’re a football fan or more of a pool person, this table will keep everyone happy! Folding for easy storage, this Hy-Pro Game Multi Table is a great compact way to enjoy all your favourite games. Pretty sure this has been posted already. Ok, £10 cheaper. I stand corrected. Heat. Pretty sure this has been posted already. Just click on the get deal link at the top!! Just ordered one! Delivery date of around 27th December, but that's ok as it'll be for a January birthday present. Lol. This must have the smallest table tennis table ever. I ordered this a month or so ago @£80 and found out I had over £50 of vouchers I knew nothing about! Be warned it takes a good 2 hours! I'm so glad I didn't leave it until the kids were in bed on Christmas eve!!! Bought this for our kids last Christmas at the higher price and it's superb for the money. Do not buy one of these things they are f'ing awful. Bought one last year you have to literally build it from the ground up with awful instructions and about 30% the holes that the screws are meant to go into either non existent or not done properly. The idea is great but save yourself the hassle, don't do it! The largest dimension they quote is 106.5cm which is about 3.5ft, so the 4ft must be taken diagonally. Mine's just arrived - it's pretty heavy to move the box! I'll not be opening it for a while, tho, as it's got to stay hidden for a birthday! Given the price drop to 50 - i phoned tesco this morning and they have refunded me the £20 difference.